Someone called me Beautiful? I’m Blushing. First of all, I want to thank everyone who’s been reading and following and commenting on a regular basis. I know it takes some effort to stop and give feedback and I appreciate all that I’ve received. Then I want to thank all of you silent readers as well. It really does make a difference to me and I have been overwhelmed by all of the responses to my blog here and in person. I’ve only been live for two months and I’ve just passed my thousandth web hit. That’s just unbelievable. You never know when you start something new if it will go over well or fail spectacularly. You guys are amazing. Thanks for taking time out of your day to visit and read my crazy rants. It means the world to me. Tanner Willbanks who I think deserves this award not just because he loves all things nerdy like me, but because he is currently reading the entire collection of Stephen King’s written works – and watching every film adaptation made – you heard that right, in chronological order and blogging about it in fantastical detail. He calls it The Great Stephen King Experiment. Such a daunting task! It’s almost like we don’t have to do it ourselves. And for that, we thank you and give you this lovely award. Cassandra (Cassie) at Books and Bowel Movements not just for having the oddest blog name but for being the most passionate young bibliophile I’ve come across along my web travels. Her posts are always intelligent, quirky, inspiring and always beautiful. 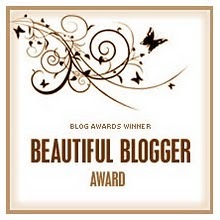 I know there are many more beautiful blogs out there and many of you already have been showered with various awards and don’t need my humble praise. For the rest as yet to be discovered, I hope to find you soon. In fact, if you know of a great blog, tell me about it and I’ll check it out! Have an excellent Friday everyone! Next > May is here and #writemotivation is back – I gotta have goals to score. Thank you! Truly, I love reading your blog so it means a lot to me that you enjoy mine as much as you do. ha! and thus begins the never-ending cycle or adoration, my friend. you are very welcome. Aw man, you didn’t have to write anything about yourself. I demand seven things that you appreciate about yourself right now, GO! And thank you darling, so much. No matter how many times I write blogs, I’m always still self-concious about them or over-thinking and it’s nice to know my weird, quirky blogs are special even. Haha. That sounded strange, but you know what I mean I’m sure. PLUS, you SO SO SO deserve this award. SO SO SO. Now seven things…. ugh, i am so awful at that. well since you asked so nicely…1. the first album i ever bought was KC & the Sunshine Band (awful, i know.) 2. i have two psychotic labs named stormy and sabrina who sit right behind my chair when i write every day and bark at everything that moves outside the office window. 3. even though i have naturally curly hair, i once paid to have a perm when i was a teenager and then had a real light brown ‘fro until it grew out. 4. my best friend and i once saw ferris bueller’s day off about seven times one summer because it was our favorite movie (test me on the quotes – i dare you). 5.one of my favorite things is a dictionary my dad gave me for my birthday while i was in college. 6. my current nerd crush is edward norton. i couldn’t stop thinking about him after watching the illusionist for months. 7. i survived puberty by reading judy blume. she is my idol. That was perfection. I survived puberty through Judy Blume as well and now I relish in my following her on twitter. My mom got a perm just after having me because I made her hair go straight during the pregnancy. She claims to this day that I stole her curls away. YAY AWESOME CURLY HAIRED WOMEN – UNITE! I love labs, and I love the show Sabrina…so I would definitely let that dog lick my face 🙂 And Edward Norton, swoon. He has that shy, no teeth smile. I don’t know what it is, it’s like he’s mysterious or something. I love that you’re a writer and you cherish most the dictionary that your dad gave you – that’s such a beautiful image/memory for your writing life. ah ha! thank you for the encouragement, wendy.